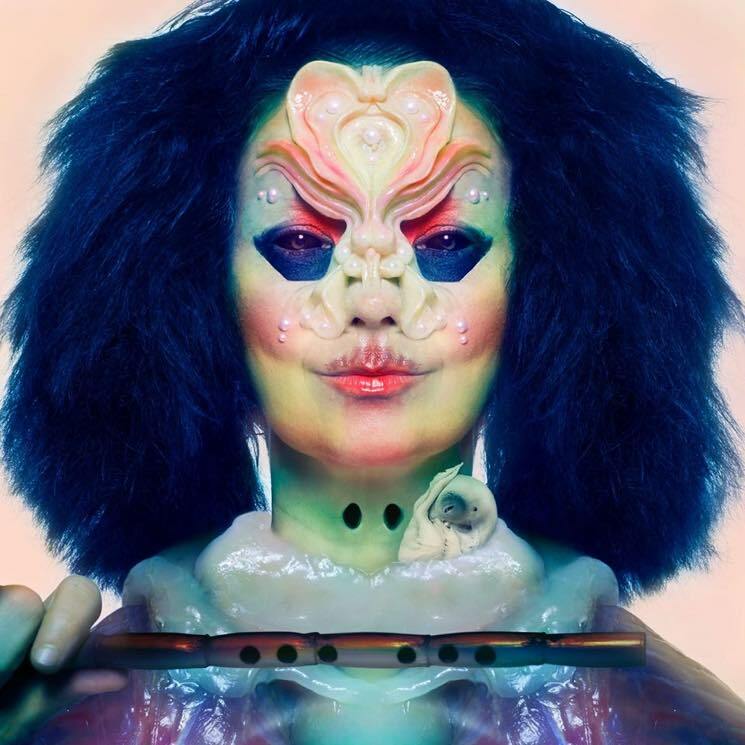 Björk is two weeks away from delivering her new LP Utopia, and after sharing the wonderfully wild artwork you see above last month, she's now shared the album's tracklisting. Utopia runs 14 tracks in length and includes previously released single "The Gate." Other track titles include "Blissing Me," "Features Creatures," "Tabula Rasa" and "Future Forever." You can find the complete tracklist below. Utopia arrives November 24 through One Little Indian. Canadian-born artist Jesse Kanda created the cover artwork alongside Björk. They had previously collaborated on her video for "Mouth Mantra." Read through the tracklist for the record below.